There is a very convenient way of getting around in Tbilisi by taxi using mobile application Taxify. I probably first heard of this company at the end of 2014 by visiting Georgian Startup challenge organized by GITA. For my travels around Tbilisi I mostly use taxi either by calling to the central or just by catching taxi on the street (I prefer second over first still). Taxis are cheap in Tbilisi, but you never know about cars technical condition, the cabin cleanliness and so on. There have been cases I would rather call my taxi a tank instead of a car - broken handles, battered windshields, unbalanced seats and so on. Should I mention - smoky salon? As a smoker I don't pay much attention to the last, but I believe a non-smokers could get feeling he/she will get all those thousands lung diseases a smokers develop in their lifetime. It was so until recently by using a random street taxi a noticed a huge Lenovo tablet in cars windshield and Taxify app installed on it - so I asked to the taxi driver - what does he thinks of it? Well, we all probably have heard of Uber - which is a pioneer for taxi apps. Driver was very satisfied with Taxify told me a lot of good words about it, and then I decided it is time to give it a try. Soon, Taxify was installed on our phones - and we did the first test drive - from our apartment to Vake park. We went on the street, opened an app, which automatically detected our location and we had an option to chose a driver. We picked one randomly and watched in the phones screen our car approaching (real-time GPS tracking). The wait times for Taxify is short - in city it's about 3-5 minutes (day time), from a more remote suburbs up to 10-15 minutes. 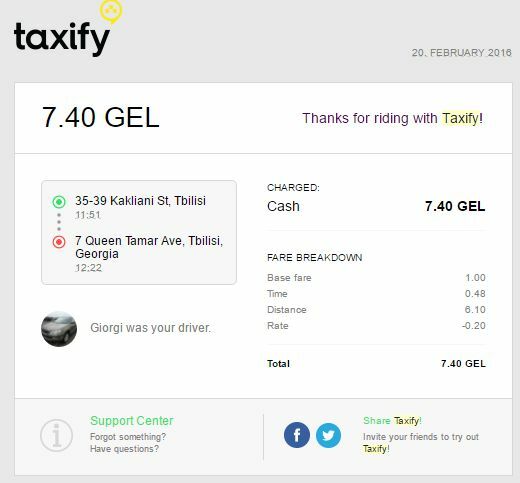 Another time we decided to use Taxify to get to the East Point Shopping mall from Tbilisi Old Town - just brilliant, we paid just 6 lari for this drive. Then we used Taxify to get back from East Point to our apartment, this time our bill was 7.4 GEL (As a bargain person I wouldn't call this a super deal, because I have negotiated on street taxis price down to 6 GEL for such ride, but taking into account that bargaining is not to meant for everyone and the difference is not so huge - I'm very happy with such prices and clean cars). Later been back to the computer I received invoices for our drive - which is just brilliant if you are a business traveler in Tbilisi, so you can submit your bill to accountancy department. 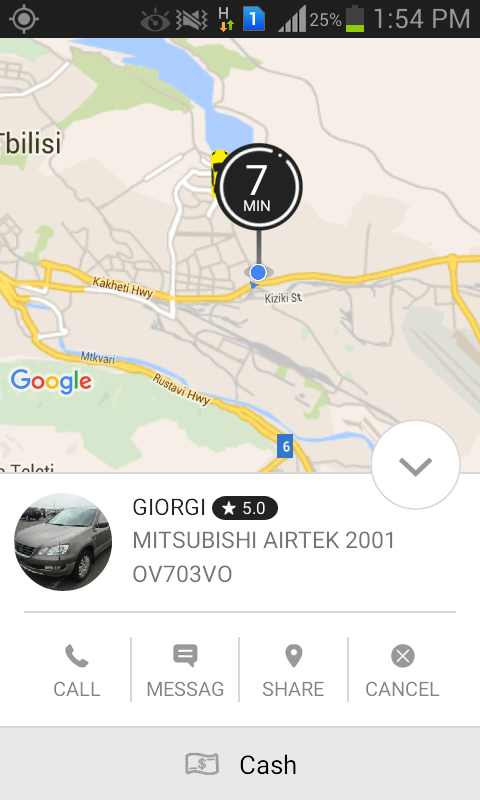 Next time for your short trips in Tbilisi try Taxify app, ypu wont regret it. Taxify is the fastest growing transport technology company in the Baltics & Eastern Europe. Taxify is building a smartphone app that connects riders with local taxis and private drivers. Taxify mobile application is available for Android and iOS phones. Users can choose their car based on arrival time, prices and service level. After requesting users can see their car arriving on the map in real-time and pay for the ride via Taxify app. Taxify was established in 2013 in Estonia and is currently operating in 10 countries - Czech Republic, Estonia, Finland, Georgia, Latvia, Lithuania, Serbia, The Netherlands and Mexico with plans to open several new countries in Europe. Taxify has received 1.5M funding from international investors from Skype, Pipedrive, Adcash, Rubylight, TMT Investments and others.